Photos by Slaven Gujic GCU News Bureau Playing for the first time at Talking Stick Resort Arena in downtown Phoenix, the Grand Canyon University men’s basketball team lost to St. John’s 68-60 Tuesday night. 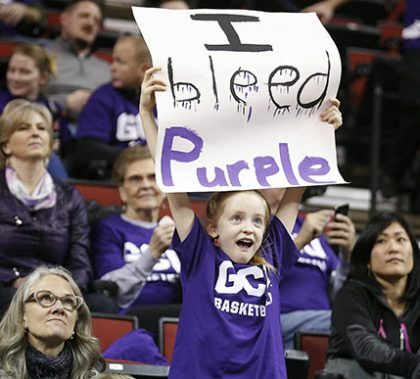 The Lopes on the Road program has become an important way for alumni, students and employees at selected GCU away games. 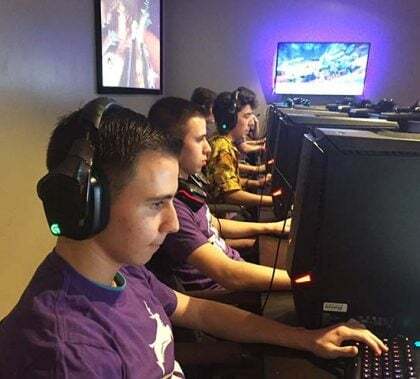 “Being an online student, it’s hard to get a feel for the campus and the Lopes sporting events, but after my first Lopes on the Road, I was sold,” said one. 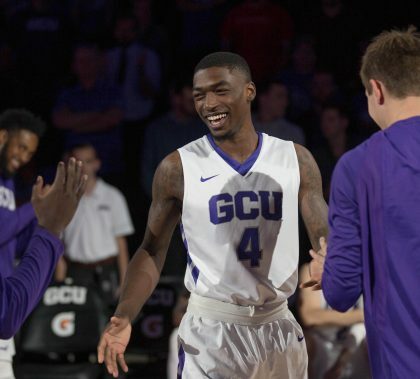 Photos by Takashi Sato GCU News Bureau The Grand Canyon University men’s basketball team defeated UC Riverside 68-56 Saturday night at GCU Arena. 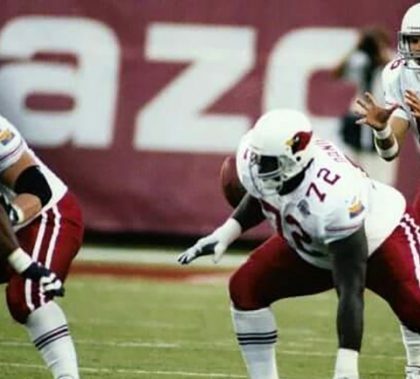 Jerome Daniels played for the Miami Dolphins, Baltimore Ravens and Arizona Cardinals. But football for him was secondary to getting an education. Daniels, who is now a manager for GCU’s doctoral department, balances his job with working on his Ph.D. in performance psychology. 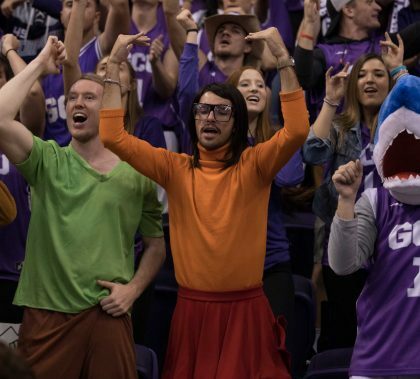 Photos by Slaven Gujic GCU News Bureau The Grand Canyon University men’s basketball team remained unbeaten with an 85-60 victory over Norfolk State on Monday night at GCU Arena. 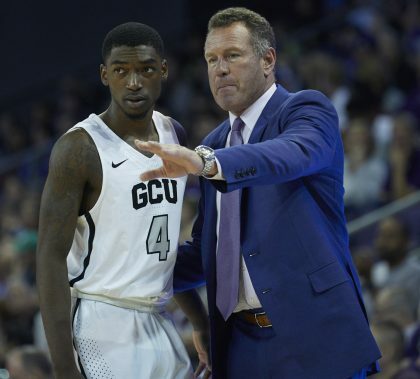 Photos by Travis Neely GCU News Bureau The Grand Canyon University men’s basketball team increased its longest-in-the-nation winning streak to 10 games Saturday with a 76-51 victory over Little Rock at GCU Arena. 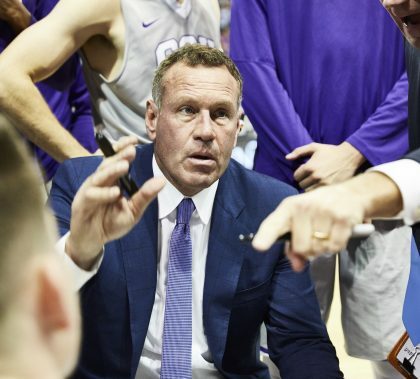 Photos by Slaven Gujic and Travis Neely GCU News Bureau Grand Canyon University’s men’s basketball team opened its 2017-18 home season with a 89-49 exhibition victory over St. Francis of Illinois. 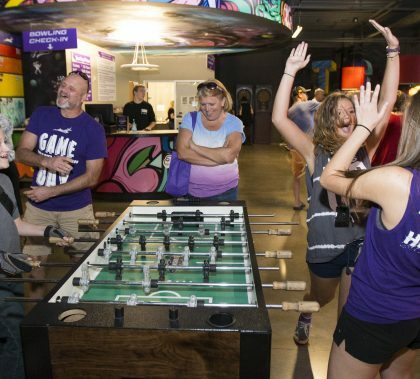 With more than 2,500 registrations for Family Weekend, expect the GCU campus to be bustling Friday to Sunday. Just some of the highlights? How about a 60-second shopping spree at the Lopes Shop, where a grand prize winner can grab as much as they can (with Thunder by their side for inspiration), along with a fall festival, bowling, Thunder Run 5K, cheer clinic and, of course, Midnight Madness.